May purchase any quantity. May redeem 1 per customer per visit/order. All services must be used in a single visit by the same customer. Valid only at the Salt Lake City location. Available for use beginning the day after purchase. Expires 6 months after purchase. See the terms that apply to all deals. 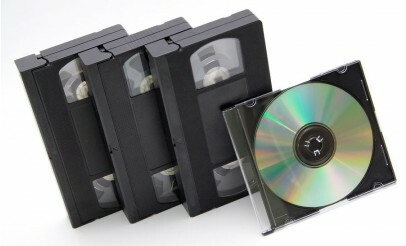 Update those old dusty tapes and photos to new DVDs and prints. Allen's Camera can take your tapes and convert them to a standard DVD you can play in your DVD player. With their photo scanning services, you can have digital copies of your photos that can be cherished for years to come. All scanning is done professionally in-house. Allen's Camera was originally established in Provo, Utah in 1946. However, they have expanded to three camera locations and one framing store (Aspen Art & Frame). The Allen family continues to operate the business and hope to provide you with quality pictures, videos and photo related products.